Signs can be an essential component of a business’s marketing strategy. A sign, which contains the firm’s logo, can help reinforce its brand. Signs are used for drawing attention for promotions, and to convey information about a business. When an exterior sign is visible for 24 hours a day, and 365 days a year, its exposure is prominent and continuous. We, at Essex Printing & Signs, offer custom-made illumination shop signs, which are designed by our professional staff. It will be helpful for attracting customers especially in retail outlets and supermarkets where a lot of business depends on the walk-in customers. Our Sign Company Basildon will also provide the clients with some of our unique eye-catching signs, which will make a prospective customer, take note of your brand. 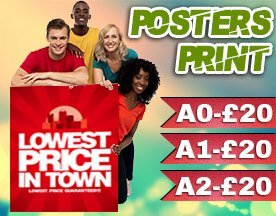 We have a wide range from simple posters to LED effects. The choice depends entirely on our clients. We equip our printing firm to take care of every demand of our client. Whether it is an exterior or interior, both are important. The outer part is important to lure in customers and the interior one has to live up with the expectations of our client. 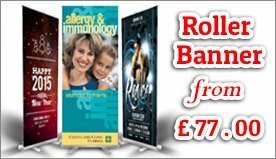 Essex Printing & Signs is one of the most reputed and trusted names in the printing industry. The company has moved up by pleasing the customers with its quality services. At Essex Printing, we offer art-printing solutions; it aims to ensure our client’s satisfaction. We use highly advanced technology that will allow us to offer quality-printing services to our esteemed clients. We are customer driven and make sure to deliver the services timely. We are very much committed to our work, and our highly trained team of professionals understands client’s requests and come up with solutions that meet with the client’s expectations precisely.